Item # 157695 Stash Points: 11,999 (?) This is the number of points you get in The Zumiez Stash for purchasing this item. Stash points are redeemable for exclusive rewards only available to Zumiez Stash members. To redeem your points check out the rewards catalog on thestash.zumiez.com. 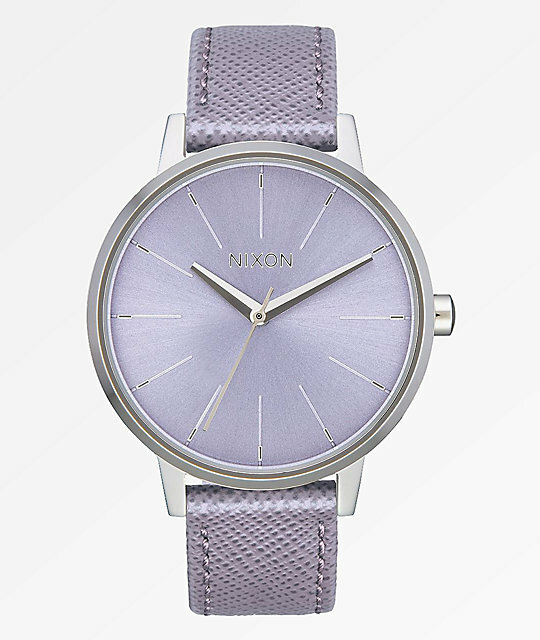 Bring elegance to your daily looks with the Kensington leather lavender analog watch from Nixon. Don't let the delicately styled details fool you, this analog watch was designed for long lasting wear with a stainless steel case that offers a 50 meter water resistance. This Kensington features a pastel purple crystal face that is complimented by a matching leather watch that offers an adjustable fit. 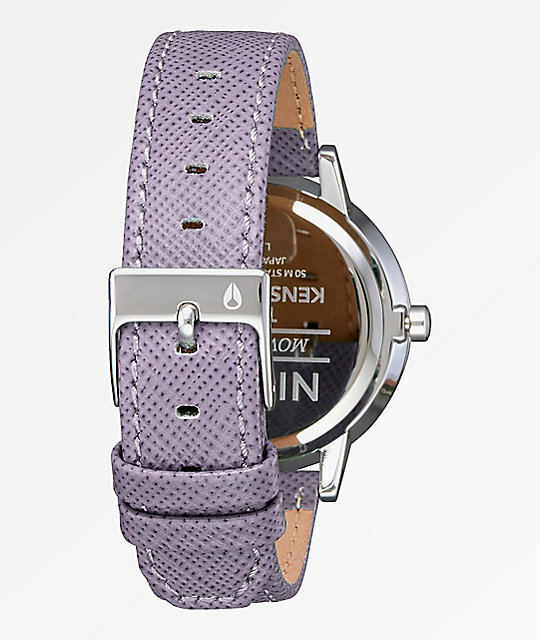 Kensington Leather Lavender Analog Watch from Nixon. Analog display with engraved and printed indices. 3 hand Miyota Japanese quartz movement. 50 meter/5 ATM water resistance. 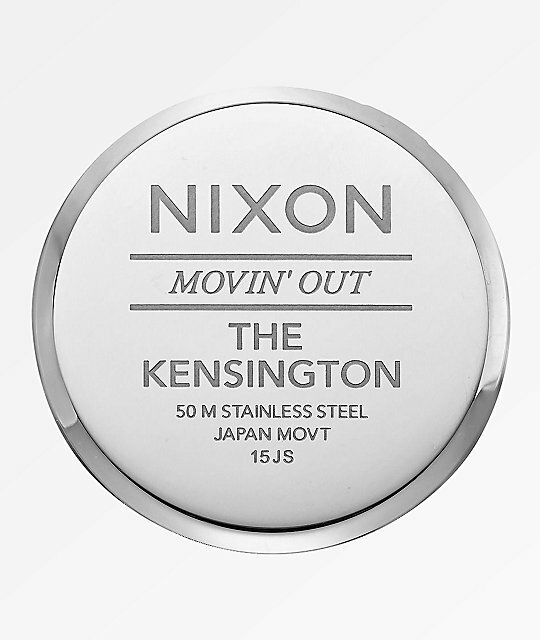 Stainless steel snap fit caseback and spring pin lugs. Medium face size to fit women's wrist. Adjustable stainless steel locking clasp for custom fit.